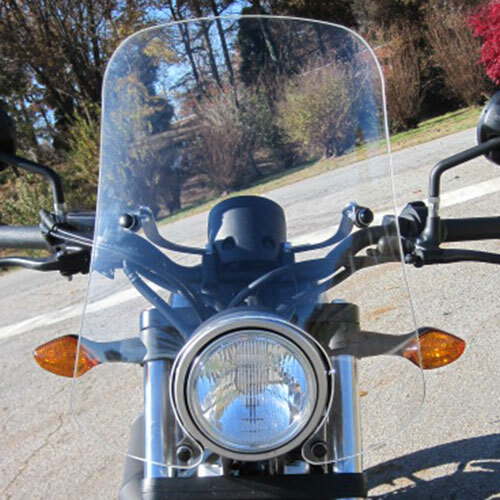 Parabellum designed a Sport Touring Windshield and a Flyscreen for the bare Honda Rebel 500. 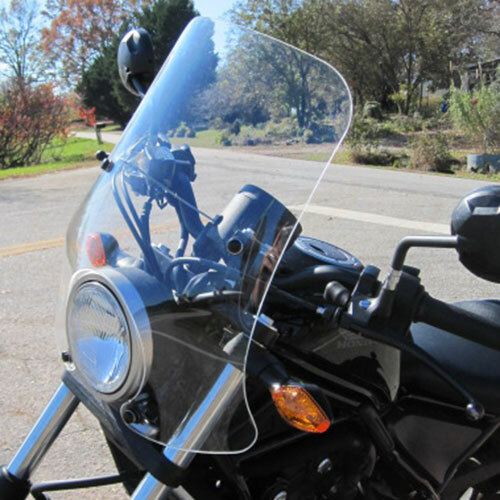 The Sport Touring Windshield is made from 3/16 inch cast acrylic and the maximum width is 19 inches tapering to 13 inches at the top of the shield. It comes complete with all the hardware and attaches to the handlebar clamps and the headlight bolts. It is offered in three different heights and in clear or tint.